This elegant double loop knot boasts of beautiful symmetry. Each loop is separately fixed, unlike the French bowline, which adds to its good features. It can be made in the middle of a line and serves the purpose of a temporary Bosun’s chair. 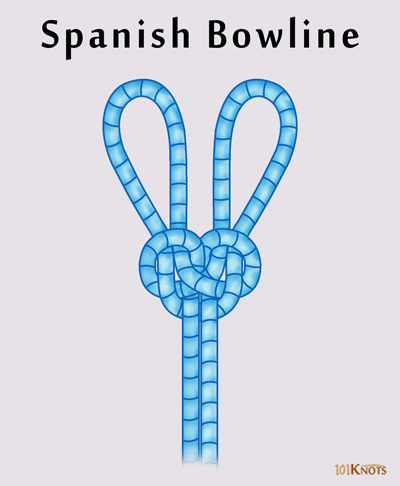 A variation of the more popular bowline knot, it is mentioned in The Ashley Book of Knots. 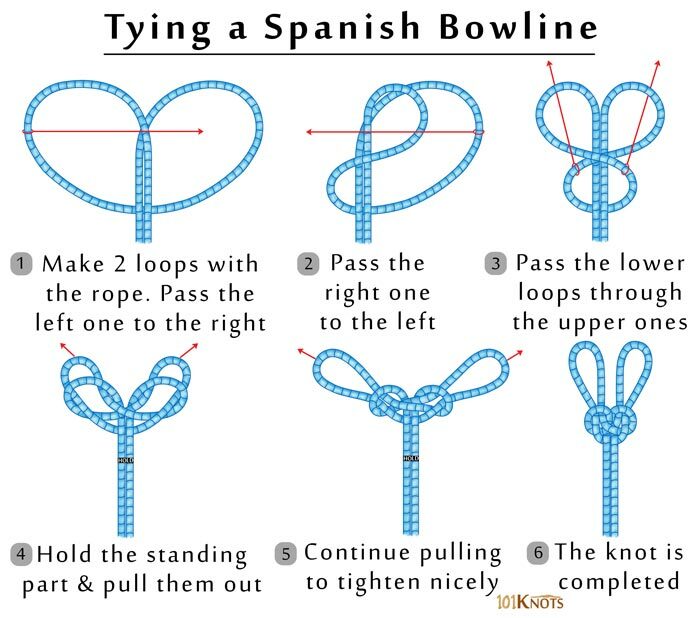 You can tie it quickly after mastering it. You should start with a long length of rope. The load should be equally applied on both the loops to prevent slipping. For rescue work by passing one loop around each leg of a conscious person while he can cling on the standing part when he is lifted. Unconsciousness would necessitate the use of an extra hitch around his chest. Carpenters use it to suspend a ladder.